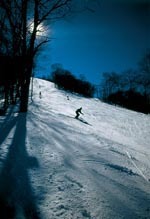 Cataloochee Ski Area, Maggie Valley, North Carolina. 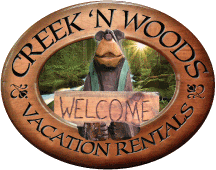 Great skiing is what Cataloochee Ski Area is all about. 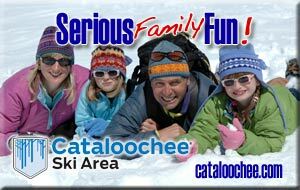 For 45 years, skiers have enjoyed the exciting slopes of this North Carolina Ski Area, winding trails and a friendly, helpful atmosphere that make the Cataloochee experience nothing but cool fun. Here families learn their skiing skills on special beginner slopes with their own chairlift. Then, they graduate to more difficult intermediate slopes like ‘Lower Omigosh’ and the ‘Rock Island Run.’ Finally, they advance to 5,400-foot Moody Top, with its 740′ vertical drop, while experienced snowboarders can hone their skills in the ‘Cat Cage’ terrain park. The Rock Island Line quad lift opens more of the mountain to intermediate skiers than ever before. Together the slopes of Cataloochee present some of the most welcoming and challenging terrains in the Southeast. If sitting back and slidin’ is more your style, check out Tube World in the valley. With the same dedication to making snow, Tube World is family fun you can depend on. Riding our conveyor lift to the top makes getting to the top of the run even easier. Don’t miss Tube World in the Valley for a slidin’ good time!.